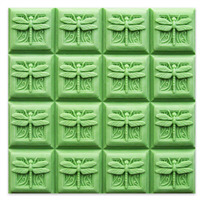 Help your soaps or lotion bars take flight by replicating the iridescent or metallic colors of real dragonflies. 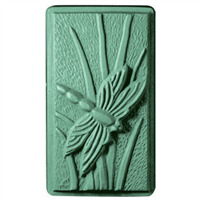 This dragonfly soap tray is the perfect gift for anyone who loves the beauty of nature. Bar Depth: 1" Bar Length: 1 7/8"
Dragonflies have been around in some form since the Carboniferous period, around 300 million years ago. Back then, they had wingspans the length of a human arm! 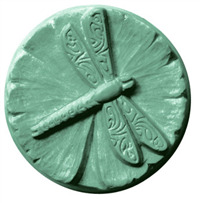 The Dragonfly Soap Mold represents today's less-intimidating version, the ones that can be seen looking for an insect lunch near a pond. Nothing says lazy summer like watching a dragonfly land on a lily pad. 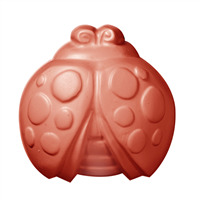 The Lilypad Soap Mold is perfect for gardeners and pond people.